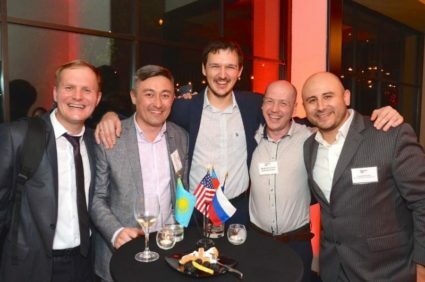 Our Moscow office has a vacancy for a Regional Director Russia/CIS, this role will report to the Vice President of Manufacturing who is based in Houston, as well as the Vice President Eastern Hemisphere who is based in Aberdeen, Scotland. The role is a permanent full-time position. JOB SUMMARY: Provide management and support to customers in the sales and service of downhole product to the oilfield sector. Support operations and control day-to-day expenditure at the Company’s manufacturing facility in Russia, based on the Board of Directors’ instructions and in accordance with the Russian Federation legislation, as well as both local country’s and Company’s standards. Develop sales strategy to ensure direct customer contact throughout Russia as assigned by Manager. 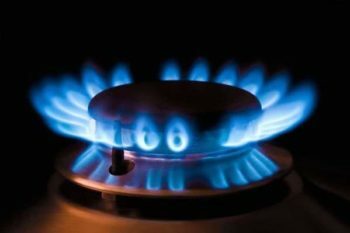 Call on management representatives such as senior engineers, drilling managers or other personnel within oilfield related companies and organizations. Prepare sales reporting and/or call reports as required to indicate sales activity and historical data (using CRM). Prepare sales or service presentations and contracts for products or services. Review blueprints, plans, and other customer documents to develop and prepare cost estimates of proposed product or services. 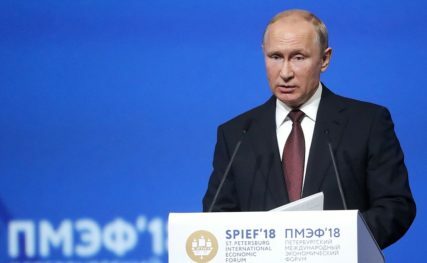 Responsible for running TAM International Vostok LLC in Moscow, coordinating customer and agent inquiries, and any email and fax correspondence. Participate in Project Planning and meetings. Provide technical training to clients. Overall responsibility for Quality, Health, and Safety at company premises and for employees. Responsibilities include interviewing, hiring and training employees; planning, assigning and directing work; appraising performance; rewarding and counseling employees; addressing complaints and resolving problems, for those documented as reporting to the Regional Director Russia/CIS on the Eastern Hemisphere organogram. Ensure the Accounting Manager & Plant Manager carry out their daily tasks as directed by their reporting manager. 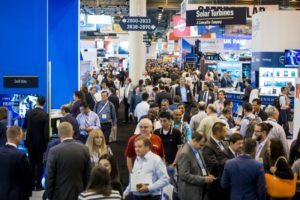 EDUCATION/QUALIFICATIONS/EXPERIENCE: ·College or technical school degree preferred;·Minimum 10 years related experience in oilfield sales and applications and/or training; or equivalent combination of education and experience;·Knowledge of downhole products and procedures is essential;·Fluent English, both written and oral. SKILLS AND ABILITIES: ·Ability to work under a minimum of supervision;·Ability to read and understand engineering drawings as they pertain to assembly of inflatable and swellable packers or related downhole tools;·Basic to intermediate skills in MS Office products to include Word, Excel & PowerPoint and related systems;·Familiarity with computer networks and email. KEY COMPETENCIES: ·Accountability; ·Adaptability & Flexibility;·Attention to Detail & Accuracy; ·Commercial Awareness; ·Communication Skills (verbal and written); ·Customer Focus; ·Decision Making & Judgment;·Ethics & Integrity; ·Interpersonal Effectiveness; ·Leadership; ·Planning & Organizing; Results,·Focus & Initiative; ·Safety Focus; ·Stress Tolerance; ·Teamwork; ·Time Management (organization). HOW TO APPLY: Qualified candidates should submit their cover letter and resume by email to Mark W. Newman, Mark.Newman@tamintl.com. FOR MORE INFORMATION: contact Mark W. Newman by email Mark.Newman@tamintl.com or by phone O:+1 713.457.5000 │M: +1 832.943.6450. 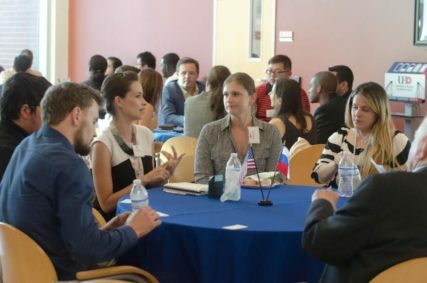 The US – Russia Chamber of Commerce would like to notify that this job posting on the company’s website (usrucciacc.org) and Social Media (Facebook, LinkedIn, Twitter) is based on the information provided by the employer offering the job. The USRCC is unable to fully research the integrity of the organization that posts a job vacancy or guarantees that the job is still available. We make no representations or guarantees about the job listing or the accuracy of the information provided by the employer, and we cannot be held responsible for any inconsistencies or errors. 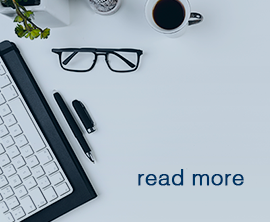 The USRCC is not affiliated with the employer named in the job listing in any manner and is not responsible for safety, wages, working conditions, or other aspects of employment. It is the responsibility of each individual job seeker to research the integrity of the organization to which he/she is applying and to verify the specific information pertaining to the job posting. Job seekers should exercise due diligence and use common sense and caution when applying for or accepting any position. All hiring and compensation for work performed by the job seekers are handled directly between the job seeker and the employer. Employer and job seekers are encouraged to request reference information from each other as needed to establish qualifications, credentials and overall fit between the employer and the applicant. It is a job seeker’s responsibility to verify the terms and conditions of employment with the employer. The USRCC does not post jobs that appear to discriminate against applicants on the basis of race, color, religion, creed, age, national origin, disabled or Vietnam Era veteran status, sexual orientation, disability, or gender, gender identity or expression, marital status, and genetic information. 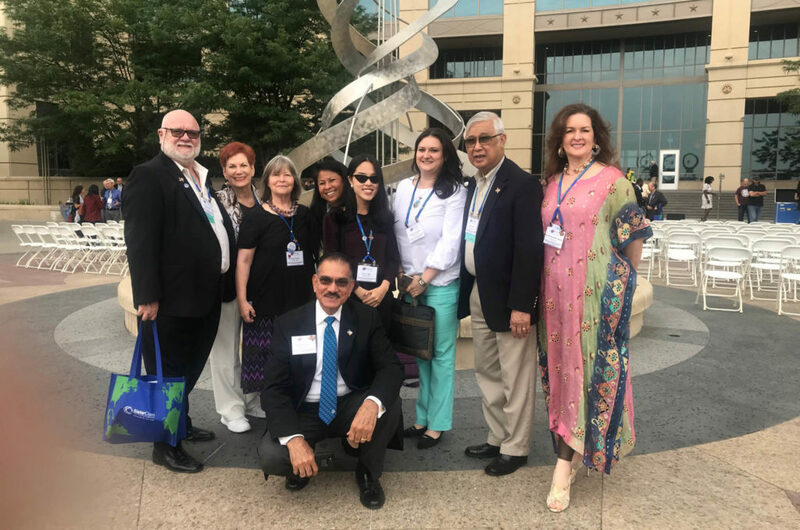 ORGANIZATION DESCRIPTION: The U.S.-Russia Chamber of Commerce (USRCC) is a 501 (c) (6) nonprofit organization based in Houston, Texas. 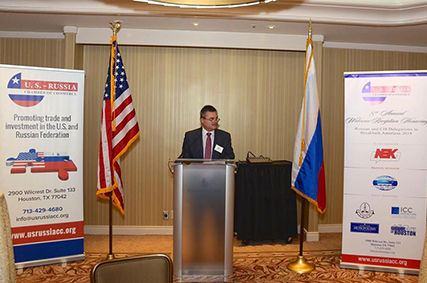 It was established in 2009 to promote business and investment opportunities between the U.S. and Russia. 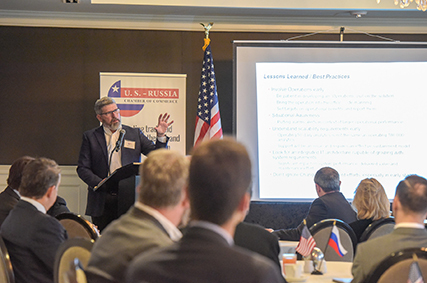 USRCC assists U.S. companies to expand in Russia by providing access to specialized market research focused on delivering attractive new business growth opportunities, and leads identification and selection of reliable business partners. 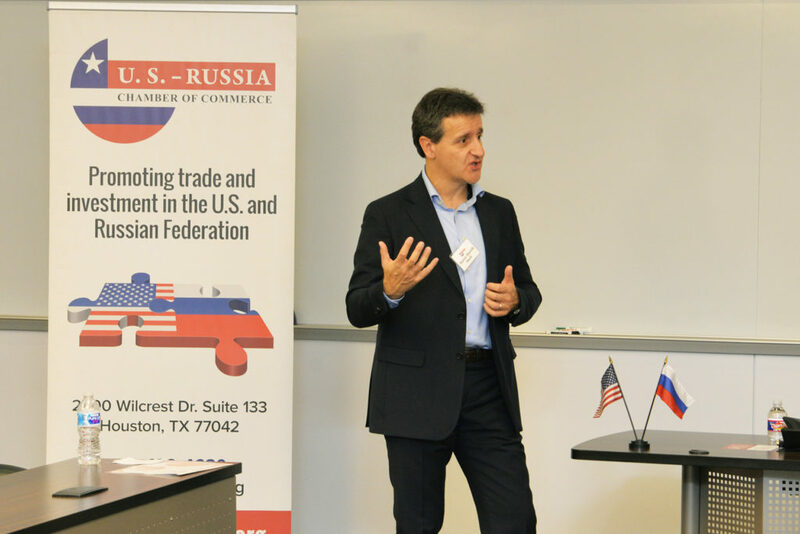 Russian companies benefit from USRCC’s in-depth knowledge of the business community in Texas. 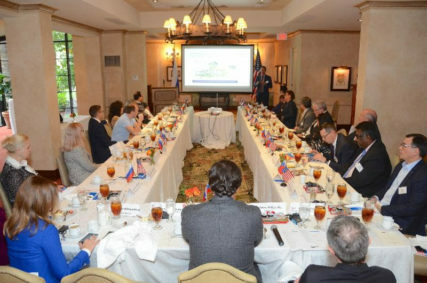 USRCC also provides access to high-level business and governmental decision makers. DESCRIPTION OF POSITION: Working with the Executive Director, intern will play integral role in a wide range of activities of USRCC. Responsibilities will include project management, event coordination, business development, and membership database and website administration. Intern will play highly visible role in this dynamic organization, with significant opportunities to meet and network with member companies. Proficiency with Excel, Word, and PowerPoint. Knowledge of website development preferred. HOURS: Flexible, minimum of 20 hours per week.